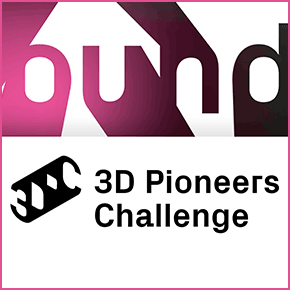 The fourth annual 3D Pioneers Challenge; as the platform for pioneers in 3D printing, seeks to uncover specialists from around the world who are thinking outside the box and - pushing boundaries. Additive manufacturing is one of the innovations of the 21st century. 3D printing is standing on the threshold to be integrated into industrial manufacturing processes. For some time now, the technology is not pushing its way to the fore – but as hidden champion, it acts as an "enabler" of many concepts and innovations, and even of completely new business fields. The needs of humans are in the foreground through individual solutions. Social projects are only made possible by 3D printing in some areas. Pioneer thinking also requires the courage to put it into practice, breaking new ground. The 3DPC is looking for these pioneers who think 3D printing one step further. Where is it enabler, where is it in the main focus? We welcome submissions from previously published projects to brand new ideas. Group entries are also permitted.